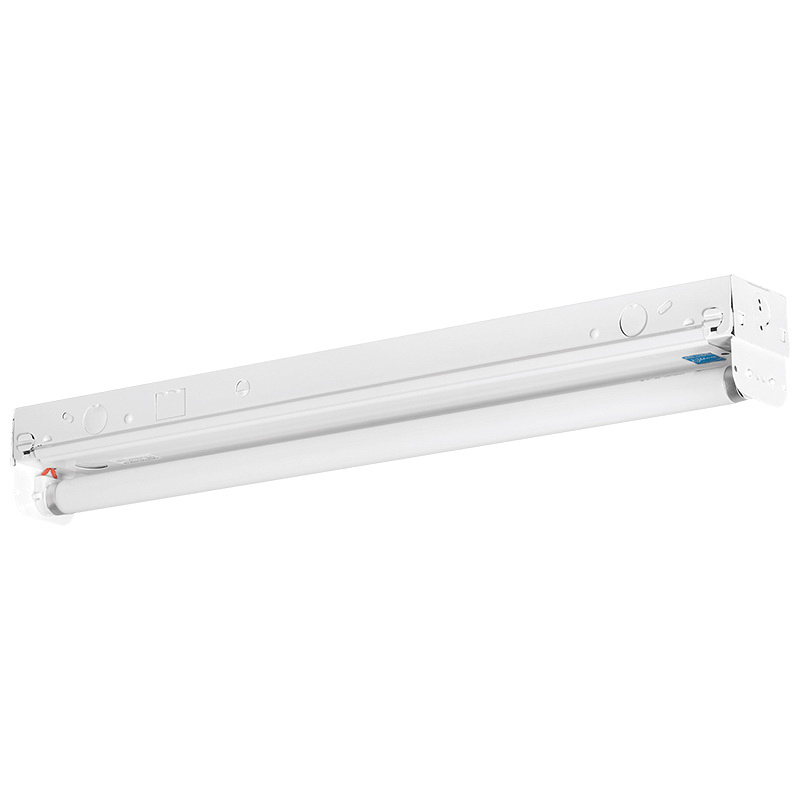 Progress Lighting Modular fluorescent strip light in white baked enamel finish, features steel construction. It accommodates one 17-Watt F17T8 fluorescent lamp. The bi-pin twist and lock base lamp has voltage rating of 120-Volt AC. The ceiling mount strip light with NFP electronic ballast, has a dimension of 24-3/16-Inch x 3-Inch x 3-1/8-Inch. It has 1/2-Inch KO on each end cap for continuous row and on KO on each side near ends. Bi-pin twist and lock sockets on attached flip bracket ensures easy as well as quick installations. Fluorescent strip light is UL/cUL listed.